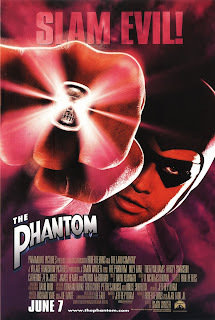 Description: When a New York business man steals skulls of mystical power, The Ghost Who Walks is called into action. Credit is due for the mere fact that they actually dared making a movie with this character. 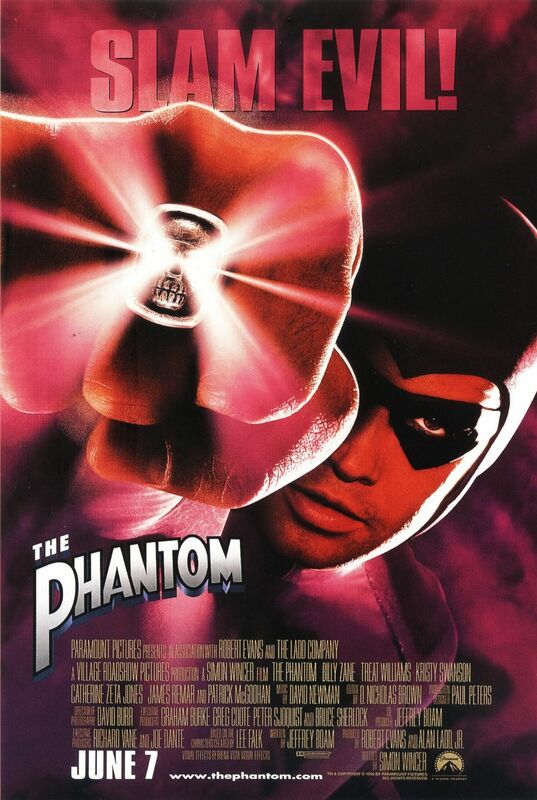 The Phantom is one of the lesser know superheroe-esque characters and he wear a bright purple outfit while on duty. So props is definitely given for even trying to make modern audiences take this character seriously. As for the actual movie, it's a mixed package. On one hand you have some pretty cool stuntwork and an epic tale, you even have a very nice score and this could very much just have gone as an Alan Quartermain or Indiana Jones movie. It has mystical artefacts and junglestunts and our hero is both daring and skilled. On the other hand you have a very by the book plot, and the villain (Treat Williams) is really hamming up the acting to the point of it going from sorta amusing to just downright obnoxious. He's very camp. Some of the mythos is also not explained very well, at points we see the main character talking to a ghost that no one else can see but it's never fully explained who it is except in throw away lines. A lot of the story is told in throw away lines. At one point of the movie, the main character even feels the need to retell his entire origin. However, if you like period piece adventure and really well-done action it is certainly entertaining.